On behalf of Safety Management Academy and EFR Certification, we would like to invite you to The Zon KLCC to our inaugural “Safety Culture” colloquium. This unique knowledge sharing session provides a forum for academics, researcher and practitioners from various industries to exchange ideas and share recent developments in “Safety Culture”. In conjunction with Malaysia OSHMP 2020 in promoting prevention culture, the colloquium provide an opportunity to collaborate and advance the theory and practice of major trends in “Safety Culture”. The theme for 2019 colloquium is “Nurturing Safety Culture through Systematic Approaches”, discuss many important topics in developing, nurturing and embedded the safety culture in our organization, society and education system. We encourage the submission of full or short papers. Although preference will be given to research and conceptual papers, panel discussions that make a solid contribution to the Colloquium theme will be consider. Any paper should be submitted by e-mail to the Organisation Office (edly@efrmanagement.com) as a document (.doc or .docx extension). The maximum length of a full paper is 1500 to 5500 words (excluding the list of references). Full paper submissions must describe original and unpublished work. 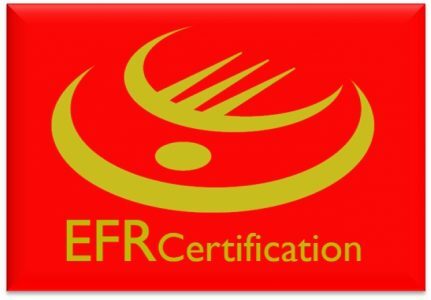 The full paper should be prepared by following the author guidelines https://efrcertification.home.blog/conference/ and submitted for review on the template provided by the organisers in .doc format. Theoretical conceptualizations of the cultural, social, cognitive, affective, and situational aspects of information needs, seeking, searching, use and sharing. Research approaches and methodologies employing and developing qualitative, quantitative and mixed method approaches. Specific contexts: e.g. in different sectors and organisations (health care, education, cultural heritage, libraries, business, industry, the public services and government, the emergency services and others); in everyday life, and in social networks, including social media, gaming or virtual worlds. Collaborative information practices: communities, boundary spanning and innovation practices. Information use and value: meanings of information and how information is used to help solve problems, aid or support decision-making. Information metrics and analytics, social media and enterprise analytics. The role of information in building and enhancing the adaptive capacity of organisations: strategy and safety culture absorption, transformation and integration. The mediation of safety culture practice: how human or software agents (algorithms) can respond to and support safety culture activities and the design of safety culture delivery systems. Cross-disciplinary contributions: integrating studies on safety culture seeking and interactive retrieval; integrating safety culture science, management science and safety culture systems.